Treescapes Scotland provide a bespoke tree service in Cumbernauld and the surrounding areas. We have been serving a considerable number of happy clients for over 20 years. Our employees are extremely proud to be one of the most experienced and reliable tree service providers in Cumbernauld, and the Forth Valley. Some of our primary areas of expertise are: Tree felling and removal. Pruning – crown reduction, and crown lifting. Hedge trimming services, Stump grinding and removal. Tree maintenance and site clearance. Our customers enjoy the benefits of a fully qualified and highly experienced team. 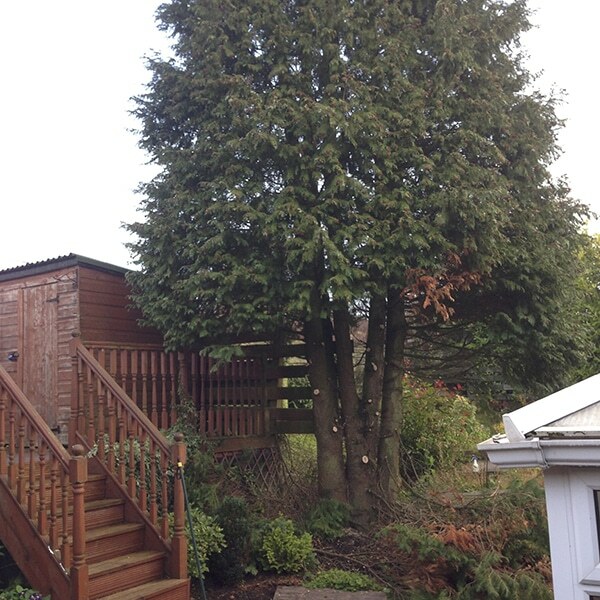 We operate in a small team of Tree Surgeons in Cumbernauld. Our team members have a strong passion for tree services. This helps us to implement the most modern best practice and learn about the latest technologies in use to help us do a better job. Treescapes Scotland specialise in felling problem trees irrespective of their location. It is important to remove a diseased or dead tree and we can do that anytime, anywhere. We are qualified to fell trees by different methods. Our tree surgeons in Cumbernauld can dismantle trees and carry them to avoid a conservatory as well as carrying them through the house where access is a problem. 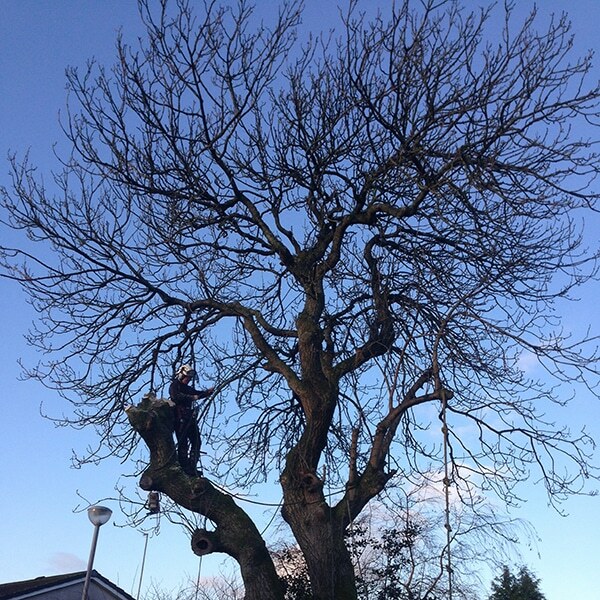 Pruning of trees is another service that our tree surgeons in Cumbernauld provide. We have experts pruning the trees so that they look beautiful and natural. Different methods are used to prune trees so that they get a balanced and natural look. We use different methods like crown lifting, dead wooding, crown reducing and crown thinning to prune trees. We decide the method only after taking a look at the tree and after discussion with the owner. Hedges can create problems for people who have a garden. Most of the time it becomes difficult to control hedges due to their size. Our tree surgeons in Cumbernauld have adopted a method that involves using the latest tools and equipment to manage hedges from the outside with the help of a ladder or platform or even from the inside. Our tree surgeons in Cumbernauld also operate a specialist tree stump removal service. 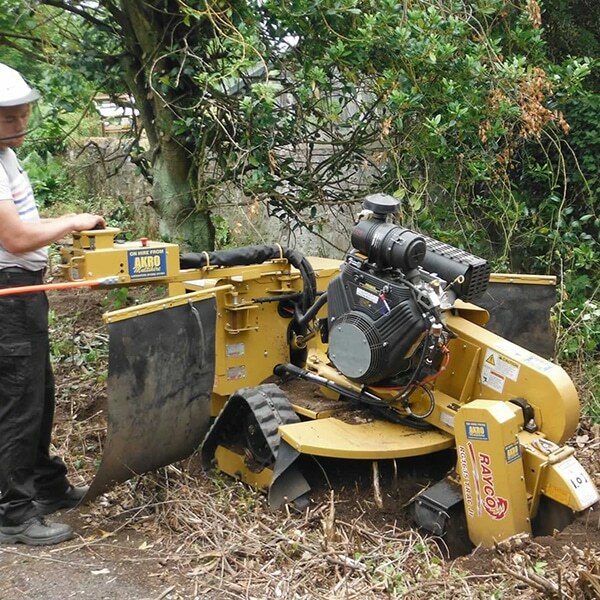 After clearing the hedge or felling a tree, a stump can be left on that area which might be a hindrance. We have qualified people for grinding such stumps. Stump grinding is done with up-to-date equipment which causes the minimum of ground disturbance, we can grind out any size of tree stump. Tree stumps are ground out well below ground level giving you the option to replant etc. Our tree service undertakes all types of forestry and site clearance work. We have the technical know how, experience and the latest equipment to undertake any size of contract. Our company has many years’ of experience in tree surgery, our employees are experienced and hold the required qualifications for doing the specialized forestry work. We are a family run business, Forth Valley based tree surgery business and we aim to provide the very best in customer service. We always aim to provide an exceptional quality service. Feel free to contact us for your FREE quotation.